Dominant Era Ends In Monash. 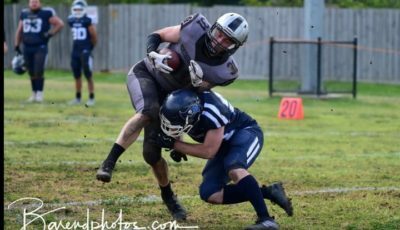 The tide has finally turned and the Warriors are no longer the feared powerhouse of Gridiron Victoria. As they say “All good things must come to an end”. It’s not all doom and gloom down at Monash University and I’m sure we will see them competing in more playoffs and Vic Bowls in the future. Right now there are 2 standout teams and for the first time in years, the Warriors aren’t one of them. Who can tell me when the last time the Warriors were kept to single digits let alone shut out entirely? For the Royals it’s onwards and upwards. The Defense is solid and very Physical and the O Line gives QB Alex Franklin enough time to evaluate what’s going on down field with not much pressure. 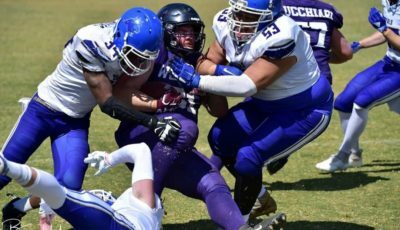 He has found his favourite target in WR Jacob Kerin and the backfield of RB Demontrez Simington and RB Tokoa Tangatakino is proving to be the best in the competition. Franklin has also been able to scramble for big gains thanks to the solid O Line. The Defense made the Warriors commit mistakes that they don’t generally make. Interceptions and fumbles with a Sack or two of Warriors veteran QB Dom Dearman. Ballarat’s only score on this day was a pick 6 by CB/WR Eddie Carey late in the 4th. QB James Stephens was able to connect with Carey and WR Billy Pedretti but the running game which was missing RB Duncan McIntosh was stuffed by the Buccs. The Buccaneers relied on WR Screens, deep passing and Zone running to dismantle the Falcons Defense. LB Peter McKay, DE Dave Parker and Matthew Gatpan tried hard all day but couldn’t do it on their own. Buccaneers defender #59 Matt Fiscalini was a monster all day. Watch the video from the link below for an amazing block by the Buccaneers Lineman #55. No Silver Lining For Pakenham. The Silverbacks finally had some decent numbers on the sideline for this one at home. Despite managing to score 16 points they had far too many points leaked by the Defense. Penalties were also a factor for the Silverbacks which may have seen them score more points. The Dragons Offense finally hit it’s straps in this victory but the Defense will be asking itself as to why it let the Silverbacks score twice. They were able to beat the Silverbacks DB’s on a number of occasions. Crusaders Go For The Kill. The Crusaders jumped out to an early lead as WR Aris Hua took the opening play in for a TD on a pass from QB Andrew Healy. RB Qyntin Muller had a good day with a good mix of punishing inside runs and speed to the outside. There were several very long runs on the day. 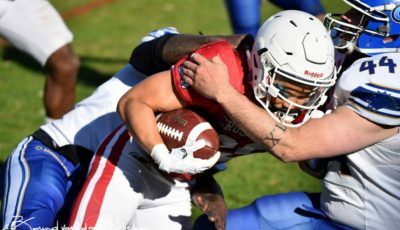 The Predators turned the ball over 3 times in the first half which stopped any momentum they were trying to achieve and gave the Crusaders good field position. The Crusaders had scored 21 points by qtr time. Unfortunately for the Predators they suffered a couple of nasty injuries which made the end result even more painful for them. QB Brad Ferguson took over passing duties at half time and connected on several great passes, including a scrappy one to WR DJ Battistella for an 8 yd TD after being flushed from the pocket. It was his 2nd on the day the other was a spectacular catch along the sideline. The Crusaders went with the running game in the second half . CB Harrison De Lai was outstanding on coverage and shutting down the end arounds, sweeps and flares in the flats, which is a staple of the Predators Offense. Unfortunately it didn’t fool the Crusaders Defense. Wolves Get Win Number 2. This game threatened to be a close one and ended up being a bit of a shoot out in the end. Countless fumbles by both teams made it hard to watch at stages. The Wolves used their running game to get some momentum. RB/OL Jai Mann looked like Jerome Bettis in stages while RB/WR Matthew Krul was elusive as always. 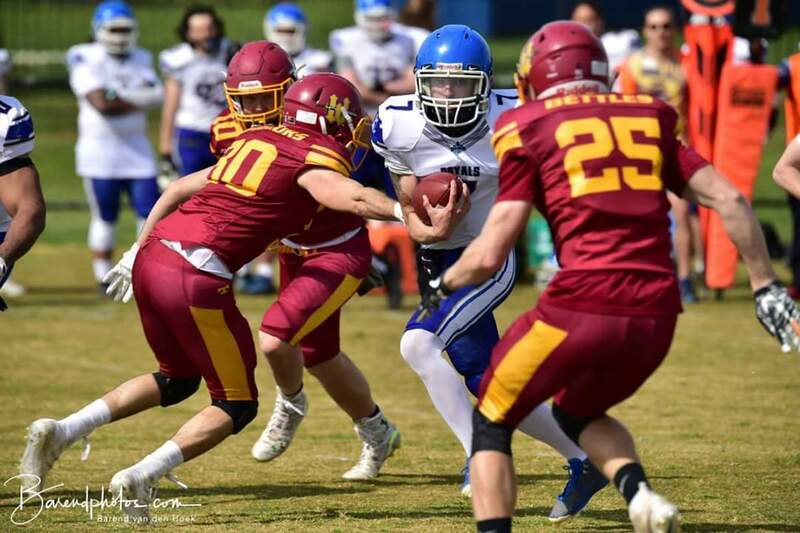 QB David Parkinson did well including running one in from about 20yds out after he was flushed out of the pocket and chased around the backfield. Thanks to some great blocking and no holding calls, he scored down the left side. Parkinson also connected with WR Daniel Mansueto for the first time this season on a 20yd pass. The Barbarians running game couldn’t bust any big runs, kept well in check by the Wolves Defense. QB Sean Roche took to the air a fair bit in this one. Hitting on short passes as well as one long one for 75yds and the score. Despite a comeback by the Barbarians they were unable to get on top of the Wolves. Defensively for Melton LB #28 Beau Booker had 2 Interceptions and was solid against the run. WEEK 9 – Starts Friday. BYE – Barbarians, Royals, Buccaneers. A rare Friday game due to the public holiday. The Falcons will find this match up very physical, something that DE Dave Parker and LB Peter McKay will relish. Expect a few flags and a possible ejection or 2 in this one. The Predators come limping into this one with 2 of their imports out with injury. Will be interesting to see how they perform. A formality this one. Just a question of how many points the Dragons can score in the first half before they use the mercy rule once again this season. A rematch of the 2017 DIV 2 Championship. Both sides look very different to last year so that’s what makes this game intriguing. Should be a close battle as long the Wolves can stop the run of Raiders RB Jesse Spiropoulos. The Raiders will have to stop the Wolves former QB now everywhere man Matthew Krul. Won’t be pretty for the Silverbacks but they will have some confidence after getting into the end zone twice last week. The end of an era at Monash, just going through the motions until the playoffs. Only reason it’s not game of the week is because the Crusaders are making everyone look silly and now the Rangers face the prospect of that happening. Let’s hope not though. 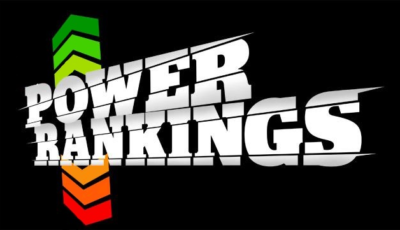 GV Power Rankings Week 11.